Whenever I go out for breakfast I face a challenge. Sweet or Savory? And it's not just that....I think to myself (Dr. Seuss style) Could I? Would I? In a box? With a fox? 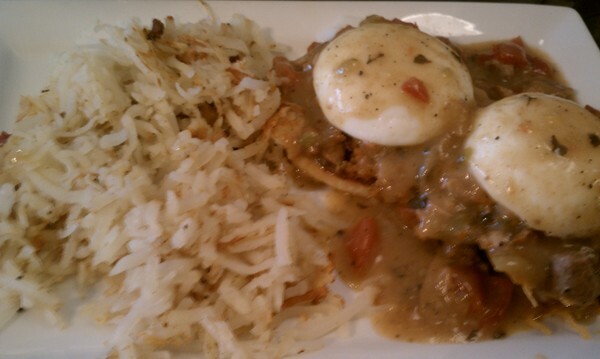 Which is why I tend up ordering more savory dishes, like these green chile eggs benedict. When I look at sweet pancakes or stuffed french toast, I often think to myself, could I, would I, make these at home? So here you go. 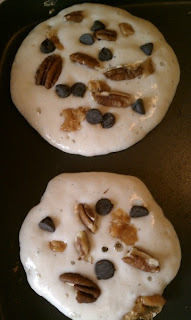 If you're wanting to fancify your pancakes without spending more time than necessary in the kitchen (when you'd rather have your feet up, cup of coffee in one hand and a book in the other), these turtle pancakes are a great option. The key ingredients of a candy turtle? Chocolate, pecans and caramel. Use your favorite pancake mix and add chopped pecans, chocolate chips and bits of caramel. I had more of the Hammond's Candy "Oops Caramel" that I chopped into little pieces. We didn't even need to put any syrup on top them, they were great as is. Another tasty option would be to put the chocolate and pecans in the pancakes and drizzle caramel syrup on the pancakes. Add a little ice cream and you would have a turtle-cake sundae. Oooh. Turtle-cakes. 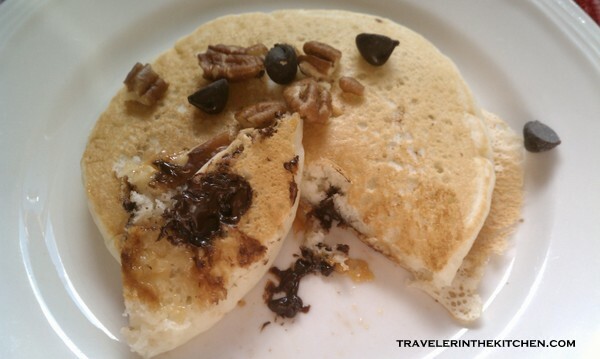 Do you have a favorite way to "fancify" your pancakes?